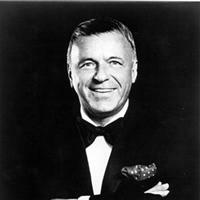 Frank Sinatra, also known as "Ol` Blue Eyes", was an American singer and actor and one of the most important figures of popular music of the twentieth century. He became successful in the 1940s and 1950s, standing out for his talent as a singer and for his repertoire of songs written by famous American composers. He was influenced by jazz and pop music that was starting to be diffused at the time via the radio. He based his songs on the idea that a song should be an extension of the conversation. Vote and help decided which of his albums are the greatest. 1 Frank Sinatra - Songs for Swingin´ Lovers! 5 Frank Sinatra - Come Swing With Me! 23 Frank Sinatra - Swing Easy! 26 Frank Sinatra - A Swingin´ Affair! 27 Frank Sinatra - Where Are You? 28 Frank Sinatra - Come Dance With Me! 30 Frank Sinatra - Sinatra´s Swingin´ Session !!! 31 Frank Sinatra - Ring-A-Ding Ding!